Super Bowl Sunday is usually the first Sunday in February or the last Sunday in January. Although not an official holiday, Super Bowl Sunday has certainly become an American tradition. Fans gather for large parties in celebration of the big game. There is a noticeable lack of traffic on the roads as almost everyone is at home watching the game on TV, and sales of snacks and beverages on this day are second only to New Years Eve. The first Super Bowl, called the AFL/NFL World Championship Game, was played in January following the 1966 football season. At that time, the game was played between the champions of the National Football League and the American Football League. Around the third championship game, the media started calling it the Super Bowl, a title coined by Lamar Hunt, owner of the Kansas City Chiefs and founder of the AFL. 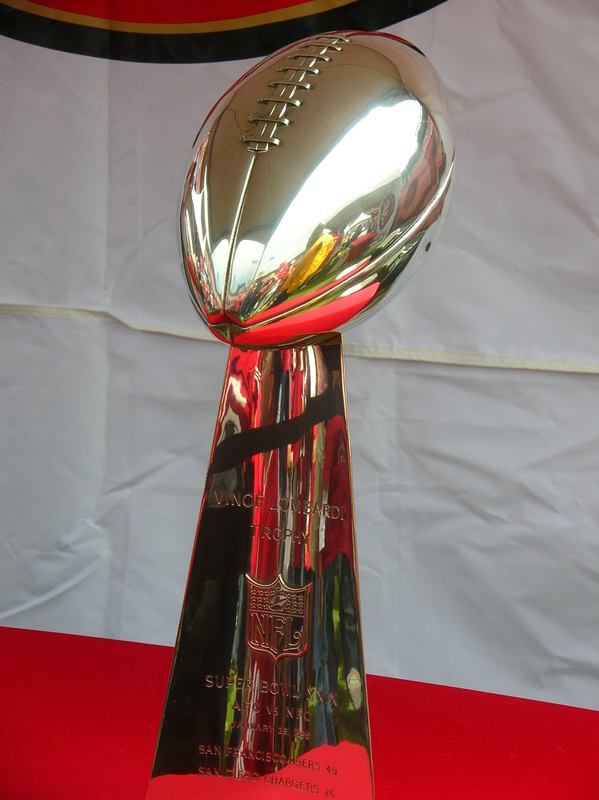 The Vince Lombardi Super Bowl Trophy was named in honor of the former Green Bay Packers Coach / General Manager in 1971, when the game was still known as the AFL-NFL World Championship. Traditionally, the NFL Commissioner presents the Trophy to the owner of the winning team on Super Bowl Sunday at a field ceremony in their honor. Handcrafted by Tiffany & Co. and valued at $12,500, the Vince Lombardi Trophy depicts a football in kicking position that is made entirely of sterling silver. It stands 22 inches tall, weighs seven pounds and takes 72 man-hours to craft.